Taxes paid by the technology giants it definitely not in line with the kind of profits these companues make.In 2014, Apple paid $13.97 billion in income taxes, which is more than what IBM, Microsoft and Google paid combined. More importantly though, Apple’s effective tax rate (the average rate at which pre-tax profits are taxed) in 2014 was 26.1%. 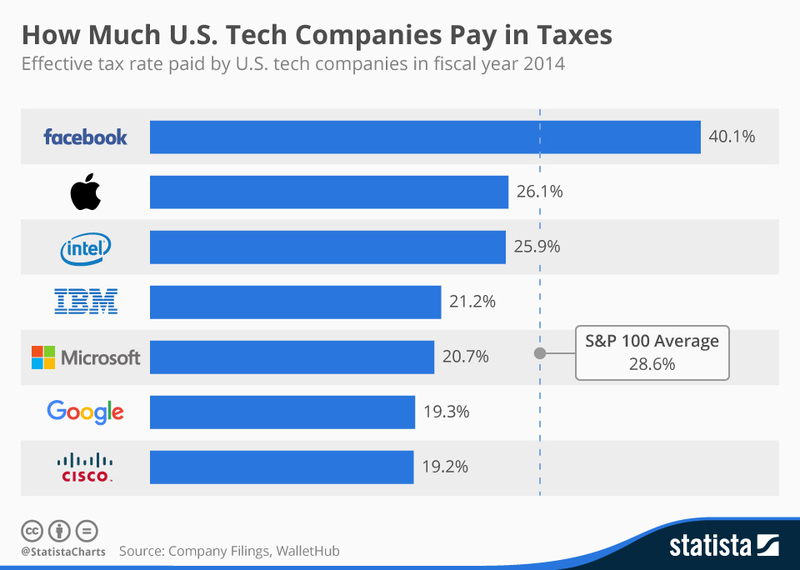 While that is actually higher than it is for many of its fellow tech companies, it is 2.5 percentage points below the average tax rate paid by S&P 100 companies in 2014, not to mention the statutory federal income tax rate of 35%.